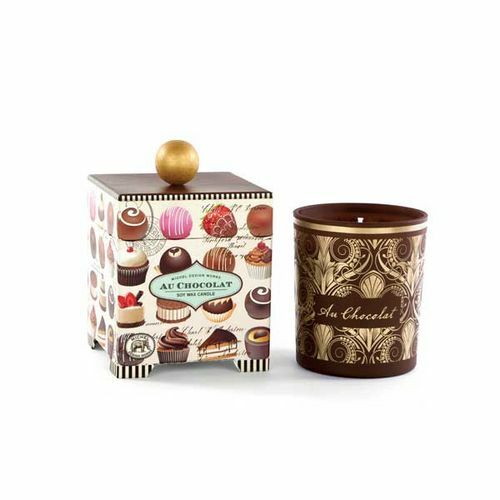 Large eye catching candle comes in a printed glass container housed in a decorative box with a wooden ball top. Smells exactly like a piece of Chocolate. 100% soy wax candle. 14oz. 65-80 hour burn time. 4.25" x 4.25" x 4.5"